The stately, columned entry with barreled-roof porch leads to an enormous great room with its massive cathedral ceiling covering two thirds of the home in the Washington II. Featuring three bedrooms, an optional fourth bedroom or den, two bathrooms and an abundance of storage space, this home has been designed for the comfort and roominess the contemporary family life-style requires. 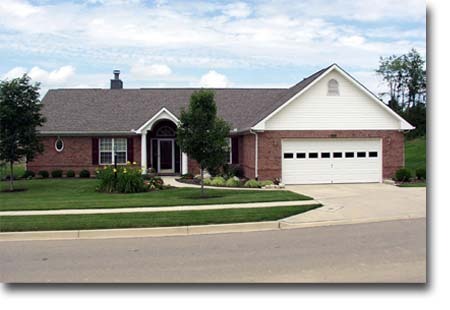 This home has a large kitchen with a center island, a wrap around counter and snack bar and an adjacent breakfast room with bay window. 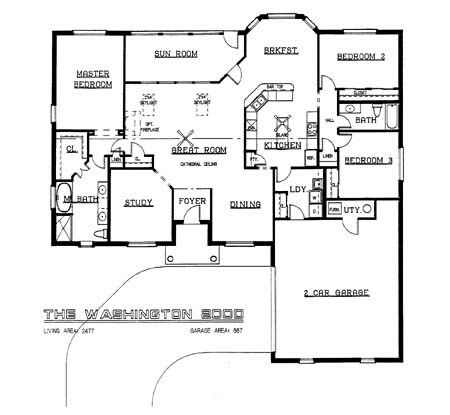 The Washington II also offers a large enclosed sunroom and a courtyard driveway leading to a two car garage with a storage area.